Located in the popular northwest community of Evanston, StreetSide’s latest development has Calgarians eagerly awaiting to become part of this exciting new neighbourhood. Offering ample green space, scenic views, a ton of nearby amenities and plenty of stylish home models to choose from, the Loop in Evanston is the city’s most anticipated new townhome community. 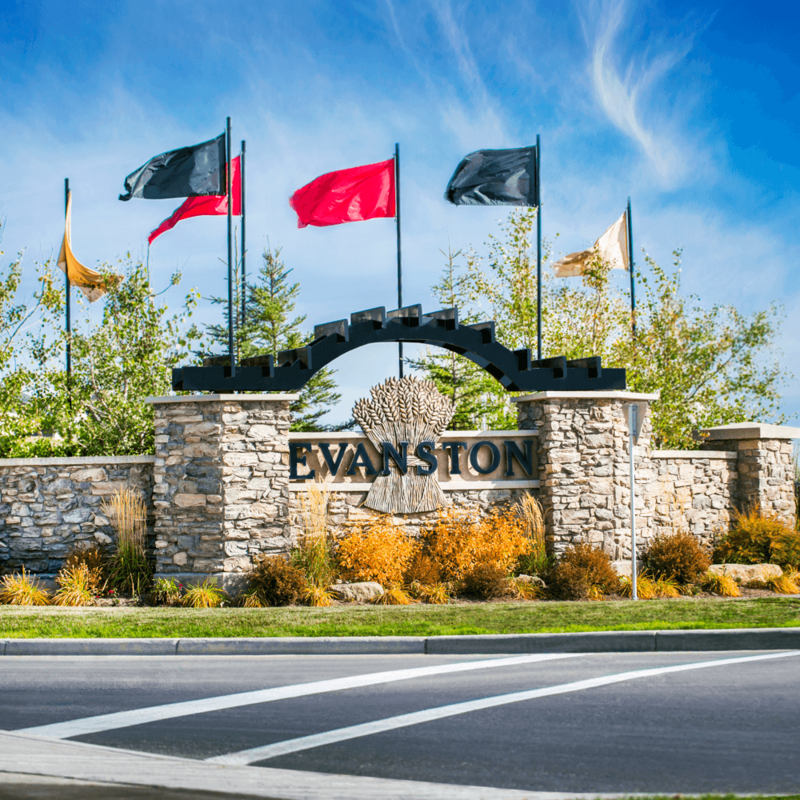 Read on to discover why The Loop in Evanston might just be the perfect new community for you. Impeccable views of the natural landscape surrounding The Loop is one of the biggest perks offered by this budding new community. In addition to open spaces and enormous living skies, each unit will overlook a well thought-out landscaped theme - incorporated into every new townhome phase. A truly unique characteristic, The Loop’s landscaped themes showcase the wide variety of landscapes found in and around southern Alberta. The first phase will channel the rugged and pristine views of the Rocky Mountains, while the second phase represents the diverse greenery of the province’s Parklands. Lastly, the third and fourth phases will reflect the sweeping scenery of southern Alberta’s rolling Foothills and Grasslands, respectively. Carefully chosen for its plentitude of amenities, Evanston is a well-established community offering every convenience imaginable. The nearby Evanston Towne Centre, only a short walk up the street, includes everything from a Sobeys and Shopper’s Drug Mart, a Royal Bank, several restaurants, a Montessori School plus many other essential services. Another huge benefit in living in Calgary’s northwest corner is its close proximity to Stony Trail, Deerfoot Trail, 14th Street, and Shaganappi Trail - making The Loop an ideal neighbourhood for the daily commuter (only a half hour to downtown!). Costco, T&T Supermarket, Walmart and Beacon Hill are also just a short drive away and CrossIron Mills Outlet Mall and the Calgary International Airport are easily accessible. Riddled with bike paths, walking trails and developed parks, those who enjoy an active lifestyle are in luck at The Loop. Whether you’re a young family, couple, single or thinking of downsizing, this spacious community is in close proximity to all kinds of recreational areas and activities. West Nose Creek Park, also known as Confluence Park, and Nose Hill Park in Calgary’s north-end provide endless walking, biking and hiking trails and designated off-leash green space for pets. What’s more, the City of Calgary’s pathway and bikeway networks have already expanded into Evanston making local riding, an evening stroll or a morning jog easier and more accessible. A short 15-minute drive down Beddington Trail will lead you to the Thornhill Aquatic and Recreation Centre complete with a full slate of swim, fitness and dance programs for all ages. Also within 15 minutes is Vivo with its arenas, exercise facilities and pool. Featuring both two- and three-storey townhomes and seven (that’s right, SEVEN!) different floor plans, in both two- and three-bedroom models, you’ll never be short on choices at The Loop. Featuring StreetSide’s unique “Salt Box” exterior design, each townhome exudes charm with its pitched roof and use of gorgeous stone and shingle accents. The appeal of these homes is only increased through timeless neutral grey and earth tones which is offset by pops of colour. Inside, you’ll find airy nine-foot ceilings, beautiful large windows, and spacious floor plans ranging anywhere from 1,205 to 1,511 square feet. Each townhome boasts functionality with plenty of storage space, a full-sized pantry, and eating bar; let’s not forget the roomy master bedroom with walk-in closet and fully-equipped ensuite! Luxury vinyl plank flooring, upscale tile, and stainless steel appliances complete the modern design of these stylish homes. With prices starting from the mere $270’s, townhome living has never looked so good. You are invited to the Evanston Block Party celebrating the opening of our Welcome Center on Saturday, October 15th from 12 - 5 PM. We'll have great burgers courtesy of the Wilk's Booth food truck and 2 Kona bikes to give away. 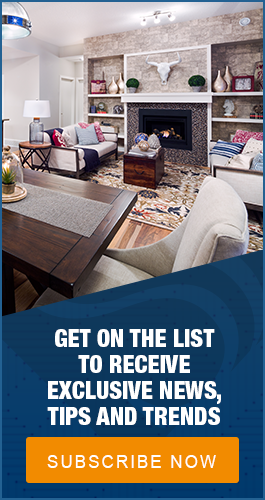 Better yet, the first 10 buyers get $5000 off the price! Want to know more? You can register at liveintheloop.ca to stay up-to-date on this project. It's time to find the home you've always wanted, in a neighbourhood you're going to love.